A UK television audience of 26.5 million were watching on when Jordan Pickford thrillingly saved from Colombia striker Carlos Bacca in England’s World Cup penalty shootout triumph this summer. His sensational, one-handed stop is one of the enduring images of what a host of commentators agreed was one of the most exciting international tournaments of all time. With that save, Pickford instantly became a household name. And he went on to further enhance his reputation with another stunning display in the Three Lions’ quarter-final victory over Sweden, as Gareth Southgate’s side became the first England team to reach the semi-finals of a World Cup in 28 years. Life would never be quite the same for the 24-year-old, who was the youngest goalkeeper ever to represent England at a World Cup finals. He admits he now gets recognised more often while out and about and – as England’s No.1 – is all too aware his performances are scrutinised more than ever before. For Pickford, though, any question of his success changing him as a person is swatted away with incredulity. “I just live a normal life,” he says. “Train, go home, chill, stay grounded, don’t get carried away. As soon as you get caught up, that’s when it starts biting you, so I just be who I have been from a young age. “I look at where I’ve been brought up from and how I’ve been grounded there and just keep that going. “In games, the pressure is on me a bit more but it doesn’t affect me. I don’t think of it, I don’t go into a game thinking, 'I’m going to get criticised if I do something wrong here'. “Kids notice me more now and they’ll say, ‘What a boss penalty save in the World Cup!’. And when you go shopping you might get noticed - but it’s all nice. “Part of our job is to be friendly, which I am. If someone asks for a photo, I’ll never say no. I’m a down to earth lad." It is unsurprising, then, that the man from Washington, Sunderland has found a second home at Everton - a Club with community at the heart of its ethos. Pickford is speaking at the Everton in the Community (EitC) showcase event, in which every first-team player pledged their ongoing support to the charity and its work by signing a commitment pledge. “The Club has over 40 programmes, it’s incredible," he says. “They’ve got programmes for the likes of the veterans from the forces, mental health, people with disabilities. "I've been doing work on numeracy and literacy with the kids. Numeracy was what I was best at when I was at school. Pickford’s humble nature was cultivated during his childhood, he explains, with his parents’ work ethic resonating in his formative years. “They could be a little bit hard on me at home,” he says. “But my mam worked at my school – maybe I got away with little things that I shouldn’t have! “She worked in an office, so if the kids needed any help with anything, they would go to her. “My dad left home to work when he was 15 or 16 to become a gamekeeper. Now he’s got his own business. Pickford’s array of goalkeeping attributes have been hailed by masters of the art such as David Seaman, Neville Southall and Nigel Martyn. His capacity to produce match-defining saves, as well as his famed laser-like distribution, have been showcased on a regular basis over the past 12 months – both for club and country. Unquestionably one of the Premier League’s pre-eminent stoppers, Pickford’s desire to improve still burns strong, however. He consistently speaks of his desire to extract “that extra one or two per cent” that can help elevate his already exceptional levels. Key to achieving this, he explains, is focusing on his own game, rather than aiming to replicate techniques of his peers. “I analyse myself - it’s about how I can become better,” he says. “Someone like [David] De Gea - he has got his own style. [Thibaut] Courtois has his own style – everyone is different. “I’ve got to be the best in my style, how I play, how I approach things. “I think mental strength is a really strong part of my game. I’m strong in myself. The glovesman’s appetite for the game was emphasised during the summer. He played in England’s World Cup third-place play-off against Belgium on July 14 but returned to Everton training just 20 days later - cutting short his holiday to ensure he was match-sharp for the start of the Blues’ Premier League campaign. “I went to Santorini, Mykonos but I wanted to play the first game,” he explains “I didn’t want to come [into the season] cold or maybe play the second match. Blues boss Marco Silva did select him for the game at Wolverhampton Wanderers, continuing Pickford’s run of consecutive Premier League starts, which now stands at 47. Indeed, he has now played every minute of every Everton top-flight game since signing from Sunderland last summer. He has been an important figure in the Toffees racking up three straight Premier League victories – notably pulling out a brilliant penalty stop in the 2-0 success over Crystal Palace last time out. Upon signing a new six-year contract with the Blues last month, Pickford set out his ambition to “become an Everton legend”. 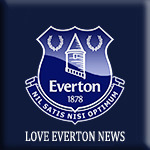 The 'keeper reveals his excitement about the Club's future under boss Silva – highlighting the Blues’ squad depth, team spirit and dynamism in attack. “The manager is good, he is very detailed in what he does,” Pickford says. “Everyone’s settling in. Momentum is building. Pickford’s attention now turns to the small matter of a clash against Manchester United at Old Trafford on Sunday, as Everton aim to make it 12 points from 12. “We’ve got some momentum going and we don’t want to stop that momentum,” he asserts. Aside from his increased recognition off the field, Pickford revealed his World Cup heroics have had a surprising knock-on effect on matchdays. Accustomed to, in his words, “getting pelters” from opposition supporters, Pickford says he has received a rather warmer reception so far this season. “It’s been a bit weird, a bit different!” he says. “But they say, ‘Well done’. It’s a really nice touch and I’ll always interact. If they’re being nice, I’ll be nice. It’s great.